Barry Oulton from The Confident Dentist Academy, reflects on the ways individuals experience mental health issues and lends his advice on managing its impact. Mental health is THE big topic of the moment which, importantly for us, is being discussed both in dentistry and beyond. Why? Because it IS a big issue and more common than we ever thought. Those of us who have struggled at various points in our lives and have not shared it with anyone, believed that we were the only ones. Well, newsflash, we weren’t, we aren’t and it’s time to help those of us that are struggling. If you haven’t had mental health struggles you happen to be in the minority! 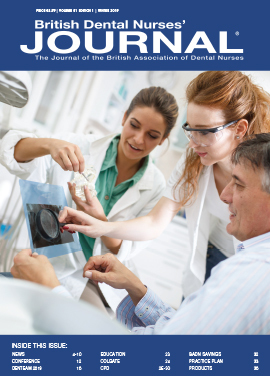 In the most recent survey published in the British Dental Journal (Jan 11, 2019) it was reported that more than half of dentists said that stress was affecting their practice. More alarmingly, almost a fifth (17.6 per cent) admitted they had seriously (yes, seriously) thought about committing suicide. This alone is a worrying statistic that has to be addressed within the profession and requires all of us to first understand how it can happen, do our best to support one another in identifying it, and also recognise how it can be reduced or even prevented. 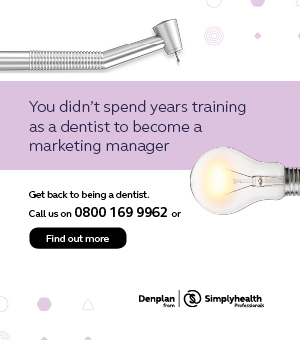 Dentistry is, as we know, a stressful profession – more often than not brought on by the working conditions, the occupational stress and the constant demand of ‘caring’ for individuals that, very often, do not appreciate the care that we afford them. Generally, in our current environment, most people expect not only more than what is possible, but there are those that assume the health of their mouth is not their responsibility and that its breakdown and failure is the fault of the system (or the dental professionals). We also live in a society where many have a ‘champagne lifestyle desire’ whilst living on a lemonade budget, their lack of responsibility also fuelled by the ‘no win, no fee professionals’ which simply isn’t sustainable. Many patients will find the money for an expensive mobile phone and struggle to find the money for their dental needs. includes educating our patients – taking them on a journey of discovery into their dental health and cosmetic desires and explaining not only the options available generally, but then the specific options available and suitable for them. I also believe that we need to be taught, ideally as undergraduates, how to help patients connect with their inner drivers related to health, wellness and their teeth. 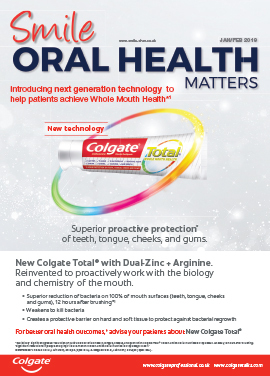 Yet, no communication or sales training is routinely offered at this level and we are never taught how to help patients value their dental health by identifying deeper drivers and some personality preferences. Learning how different people ‘tick’, process information, make decisions and what motivates them is key to being able to serve patients in a deep way that not only builds their trust in us as clinicians, but builds value in what we do and what they are provided with. It turns complaints into compliments, dissatisfaction into referrals and reluctant attendees into raving fans. Communication is truly the key to almost everything we do as humans yet we are never taught how to do this effectively. We just fall into what we do naturally, which is very often pretty good only by accident rather than by design. The study conducted by the BDA found that GDP’s are the most stressed within the profession, with nearly half (43.8 per cent) saying that they could not cope with the level of stress in their job. The definition of ‘mental ill health’ or‘mental health problems’ covers a very wide spectrum, from the worries and grief we all experience as part of everyday life to the most bleak, suicidal depression or complete loss of touch with everyday reality. Are we truly aware of the cost of mental illness? The cost to the individuals, family and friends, patients, team members and even the finances of the business? 15 years ago, I was struggling with life – becoming a single parent, going through a divorce and running a dental practice. As the stress and worry from my struggling situation increased, my concerns and worries about what others would think and the ‘perceived’ effects of the situation also increased, which fuelled my desire to handle it on my own, or at least, do the best I could without anyone knowing. To me, mental stealth means that when I had some ‘mental health concerns’ I would be very cautious and ultimately not share them. This meant that I wasn’t available to receive help, I was embarrassed, worried, concerned, not least by the perception that others would have of me – and it ran in my mind that I would be reported to the GDC. I believed, and still do, that I never allowed my worries to affect my patients or my decisions about their health and treatment – but did they? In times of illness or stealth where is there to turn? 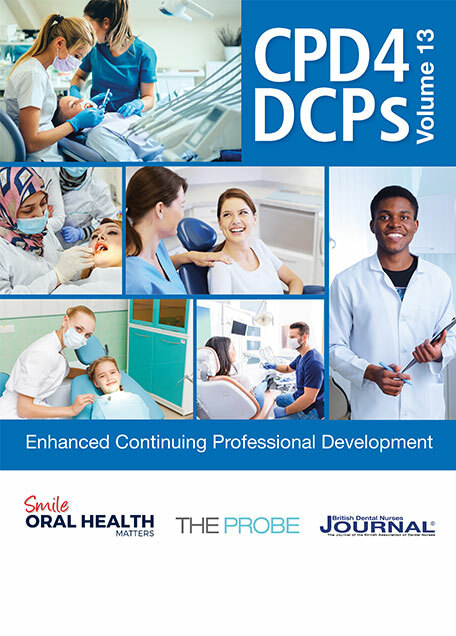 Currently, several Facebook groups are doing their best to support those dental professionals finding themselves in these situations. Sadly, these groups also include those members that haven’t ‘been there’, don’t have the T-shirt and find it appropriate to pick fun at the anonymous posts! For me it’s an understanding that stuff happens and life can be tough at times. As my long-term coach Chris Barrow says, ‘Life is a series of mountains, valleys and occasional Exocets.’ What this means is that you will have a journey of peaks and troughs, highs and lows, great times and sad times. You can be at the top of your game and get hit by an Exocet missile – for example, my mums unexpected death, which on some days still feels like it was yesterday. Grief is a funny old thing!! If you are experiencing any concerns, talk about it with someone you trust, seek help and consider some professional help along the way. My personal experience was that Cognitive Behavioural Therapy was too slow for me, digging into the past and uncovering ‘reasons’ for my feelings. For others it works just fine. As Barrow used to say though – ‘different folks – different strokes’. You may need to find what works for you because we are all different and what worked for me may not necessarily work in the same way for someone else. That been said, it’s well worth exploring different options in order to find out what does actually work for you, or the person you are concerned about. and experienced trainer. 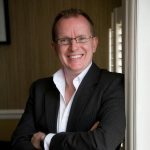 Barry is also the founder of The Confident Dentist Academy, a communications training company aimed specifically at the dental sector. 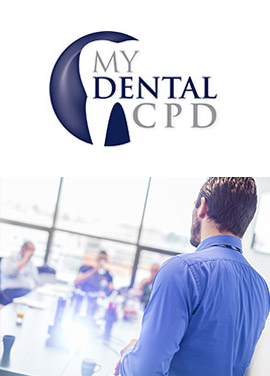 In the two day course ‘Influencing Smiles’ he shares a set of teachable techniques to help other dentists and their teams improve the way they communicate with their patients. Aligned with the use of positive language, good listening skills and subtle persuasion, the dentist and team can make a good impression that translates into happy patients,a good working environment and, ultimately, sees profit increase.